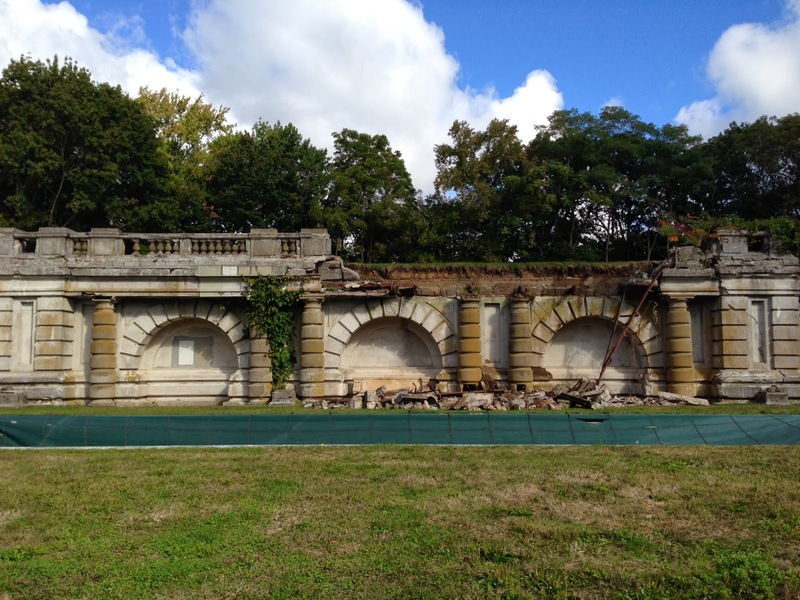 Old Long Island: Demolition by Neglect? At some point over the last few months the wall at 'Spring Hill' in Old Westbury suffered a substantial but partial collapse. The property, purchased from the Phipps family in 2004, has been subdivided and I had been led to believe the wall was to be restored (as long ago as 2008). Nothing ever happened and it slowly deteriorated year after year until this most recent event occurred. I do not know what the intention is in regards to the future of the wall but if the last couple of years are any indication the future does not look good. Click HERE to see the wall in better days. I hope the developers are insured. Looks mighty dangerous and I can't imagine the neighborhood kids are completely uninterested in hanging out there. From what I understand, it wasn't Kean's call to demo Burrwood. Also, I believe they are trying to pitch restoration to buyers but the cost is astronomical. The wall will likely not survive in my opinion. Agree that the wall will come down, but he can claim he tried to save it. Demolition by Neglect has long been a favorite of developers. And, other than as an attractive open space feature, there is no financial incentive for him to do otherwise.